Aluminium Base Jacks provide easy and safe adjustment to most types of Scaffold Towers. Supplied with Spring Clip fitted to the plain end to give a secure fit to the tower leg. Threaded end bored to suit Scaffold Tower Castor. 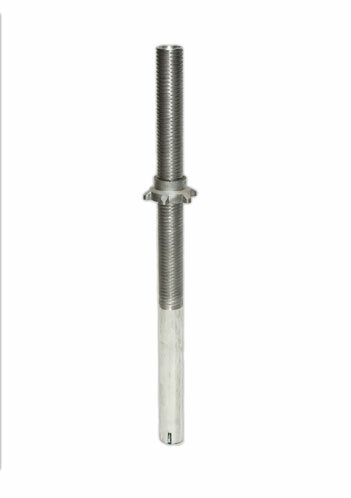 Aluminium Jacks are manufactured from a rolled thread tubular process, which SCP pioneered throughout the scaffold industry. Produced from high grade Aluminium. Heat treated to ensure maximum loading.